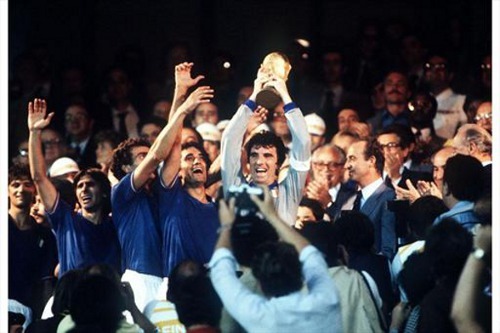 Photo: Italy football captain Dino Zoff (centre) celebrates winning the 1982 World Cup trophy with his teammates. TT Pro League CEO and former “Strike Squad” forward Dexter Skeene was known for his uncanny ability to find space within the opposing defence. 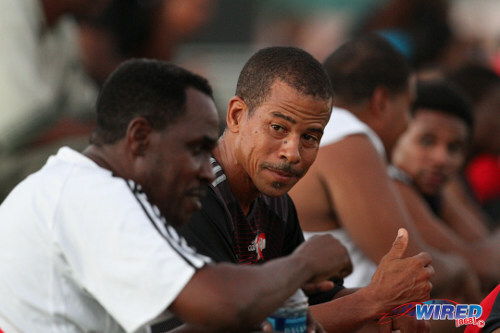 Photo: Pro League CEO Dexter Skeene (right) is in deep conversation with Guaya United coach Ron La Forest at the inaugural Wired868 Football Festival. 1982 was the year. I still smile every time I remember it, as Italy squeezed an unexpected result over the mighty Brazil in the quarterfinals of the World Cup. It was the most memorable moment in world cup history for me because I was the only one in my house supporting Italy. My father, my older brother and I sat with eyes glued to the television to watch that game with both of them telling me I was backing the wrong team. I did not mind their opposition because I had other thoughts. 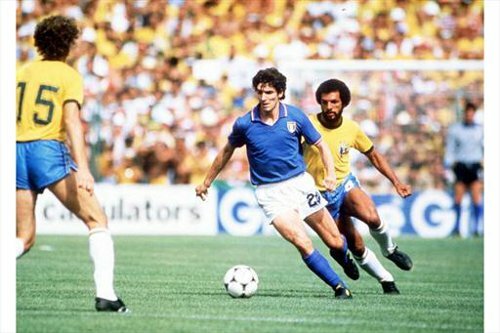 As far as I was concerned, I was an Italian, not by birth, but more so because I loved the way Paolo Rossi played and specifically his well-timed, exquisite runs off the ball and how he manoeuvred away from defenders to find space and punish the opposition by scoring goals with clinical accuracy and regularity. 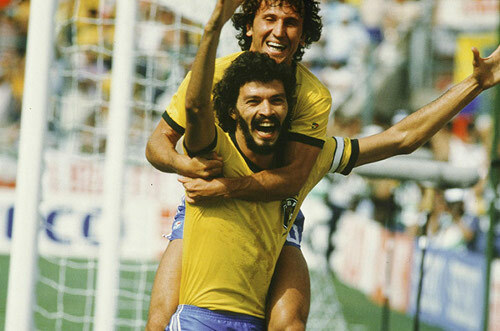 I recall when he scored the third goal how I was jumping for joy and laughing as my father and brother watched one another in amazement at the turn of events in that game. Brazil had scored to equalize moments earlier to make it 2-2 and they were then making fun of me because all Brazil needed was a draw so they thought Brazil had done enough at that time to seal the spot in the semis. Throughout that game because of the sequence of how the goals were scored there were contrasting emotions in the house. Every time Brazil scored. my father and brother felt elated and every time Italy scored I was ecstatic. Little did they know that round the corner the irrepressible Paolo Rossi had other ideas. To put the icing on the cake, he was on spot to deflect a corner home inside the six yard box, his third of the game and a well-deserved hattrick, to turn the game on its head and send Italy forward in to the next round. You can imagine my posture and boasting as I felt like I was king for a day. It was even sweeter as Italy went on to win the world cup. They told me Italy was lucky but I told them that the master had prevailed. 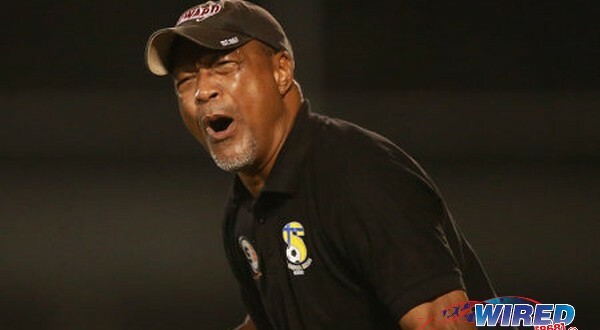 Former Trinidad and Tobago football captain David Nakhid was Skeene’s teammate at St Mary’s College during the 1982 World Cup. My favourite World Cup team was the most avant-garde National team in the history of the beautiful game. Whereas Johan Cruyff was the embodiment of total football for the Dutch in ’74—indeed every aspect of their play was centralized on his tactical and technical brilliance—the Brazil ‘82 team had creativity gushing from every player in every position. Not only did full backs Leandro and Junior venture forward to devastating effect, Luisinho, the Trinbago-looking central defender, made transitioning from defence to attack look as pleasing to the eye as Socrates outrageous flicks, dummies and back-heels. Falcao provided the balance with exquisite elegance and Cerezo (whom I had the pleasure of playing against in the European Cup) did the running with intelligence and some degree of steel. Zico was the creative fulcrum and provided moments of undoubted genius, Eder did the extraordinary when needed, especially from dead-ball situations, and, lastly, the much-criticised Serginho who, despite not possessing the talents of his colleagues and being somewhat profligate, was the perfect foil for this very offensive midfield as he often dropped into midfield and left the space for Zico, Falcao, Socrates and even Junior to make use of. They tore teams apart with the most expansive football I have seen on the world stage. Former Trinidad and Tobago national youth team stand-out Anthony Sherwood does the duty of selecting this week’s all star team. Sherwood had the playmaking duties when the two island republic made its FIFA debut at the 1991 World Youth Cup in Portugal. One of the greatest goalkeepers in history and a World Cup winner in 1966. I believe that he revolutionized the way the right back position is played today. I am quite certain that there were others, but he is the first that I can remember who got forward that much as a right back. Photo: Spain’s defender Gerard Pique (right) trips Brazil’s forward Neymar during the 2013 Confederations Cup final in Rio de Janeiro. I strongly believe that he one of the keys to Spain’s current success in world football. He is a very simple player who is extremely good defensively but is also a playmaker from the back. Again, another defender who possessed all of the characteristics of an attacking left winger. He scored amazing free kicks and, along with Cafu, he is one if those players that set the standard for how outside backs play today. He was amazingly calm and collected; an excellent leader and an example of what a footballer should be. He appeared to be a player that instilled confidence in his teammates. 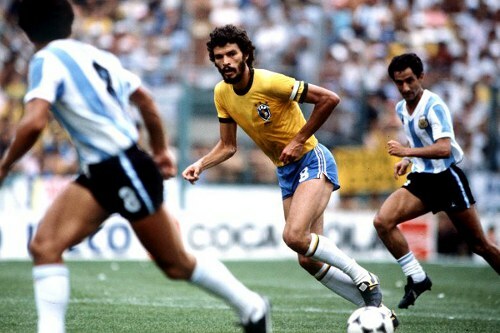 Photo: Brazil midfielder general Socrates (centre) runs into space between Argentina midfielder Osvaldo Ardilles (right) and his teammate. I’ve heard many speak of the greatness of this player and I have seen many videos of him. 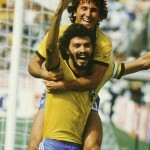 He was a great Brazilian winger and a key member of the magical World Cup winning team in 1970. He was a great dribbler. I recall seeing a documentary on this player and it was amazing how good he was. I always remember my father talking about the amazing skill that he possessed. There is not much more that can be said about the greatest ever. His performance in the 1986 World Cup is something that I will never forget. No explanation needed. It goes without saying that he was simply amazing. The only man to win three World Cups! 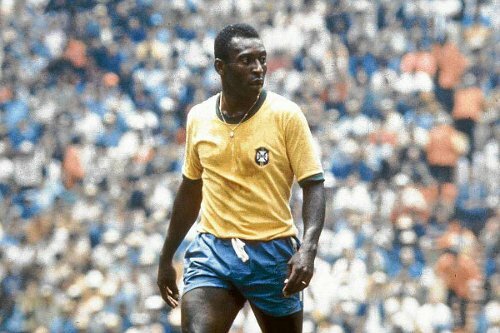 (Click here for amazing footage of Pelé at work). I remember playing against Argentina in the River Plate stadium (at national under-20 level) and thinking about how Kempes won that tournament in for Argentina in that said stadium. It was a very nostalgic moment! 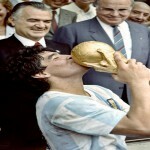 He was top scorer and the World Cup winning hero for Argentina in 1978 and his flair on the ball was inspiring. Today, we listen to two former World Cup stars. 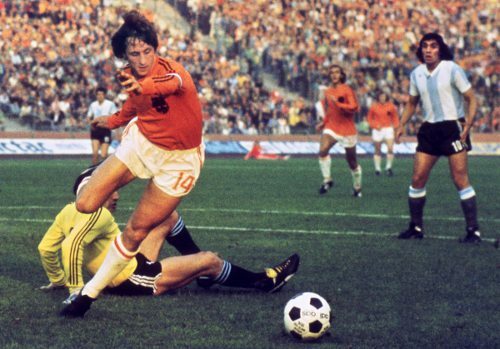 Holland 1974 World Cup icon and playmaker Johan Cruyff discusses the philosophy that led to his coaching success at Barcelona; and England 1986 and 1990 star poacher Gary Linker explains why he thinks great goal scorers make poor coaches. Photo: Holland legend Johan Cruyff (centre) takes the ball around Argentina goalkeeper Daniel Carnevali during the 1974 World Cup. Dominate the ball—move it around quickly with good technique and get to a position where you can attack as quickly as possible and never ask players to do what they can’t do. I’ve played with players all my life with less quality than I have. Don’t ask them to do in a game what they don’t have the technique to carry off. The problem for most coaches is preventing even good players from doing things in a game they don’t do well. Football is essentially a game of mistakes—if you do seven things well in every 10, you’ll be a great player, if that drops to five you’ll have a losing side on your hands. I don’t think many strikers get good coaching because many managers don’t understand it, having not been great strikers themselves. There have been forwards—Kenny Dalglish, Mark Hughes—but how many out-and-out goalscorers? Maybe it is because we are individuals within a team sport. 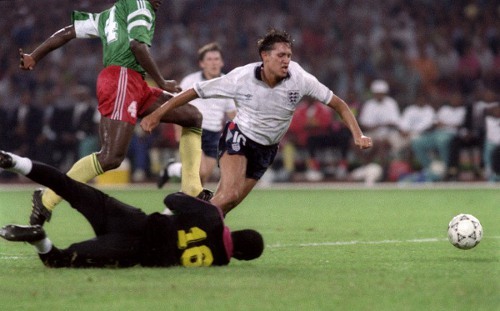 Photo: England striker Gary Lineker (right) goes down under a challenge from Cameroon defender Thomas N’Kono during the 1990 World Cup quarterfinal. Strikers don’t make great managers—discuss. We’re a selfish bunch by nature and maybe that’s the problem. To be bluntly honest, I would be reasonably happy if we lost a game 3-1 if I’d scored. That’s quite an admission. I had a chat with Alan Shearer and he said much the same. It’s probably not the thought process of a budding manager.